Photo from Andy Frizzell, no reproduction without permission. The photo is of a ‘Clothes Show’ special recorded on location in Latvia, at some point between 1988-92. 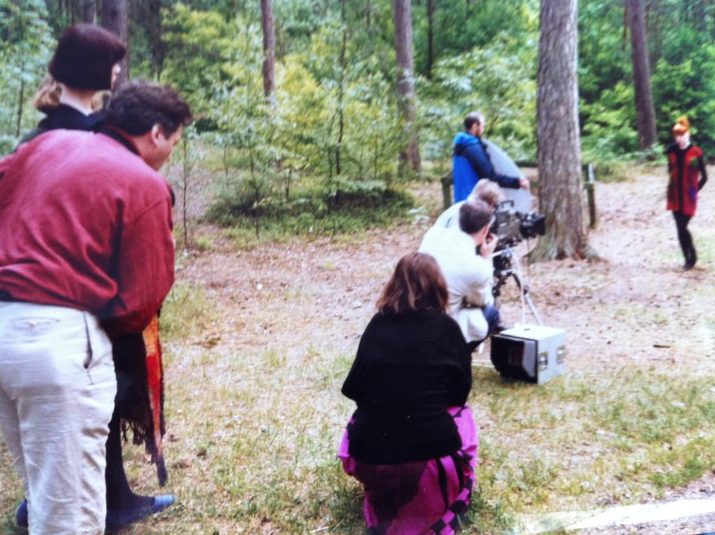 Jeff Banks (in the pinky shirt on the left) was the presenter, Roger Casstles the director (crouching by the camera monitor), John Kenway the cameraman, Tony Wass – sound (not shown – probably taking the photo), Andy Frizzell – lighting (holding the reflector by the tree).